One of the advantages of the woven netting is its lightness, which ensures it does not billow in the wind and is not deformed by sunlight. However, the mesh is sufficiently small that Newts, etc., cannot slip through. The net is easily and rapidly attached to the posts using the adjustable net holders. 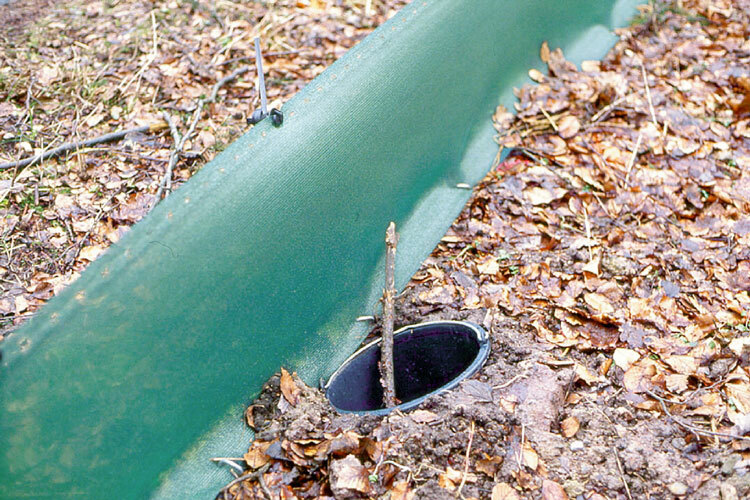 The metal supporting posts are pushed (or hammered) into the ground and the net holders are fixed onto them. 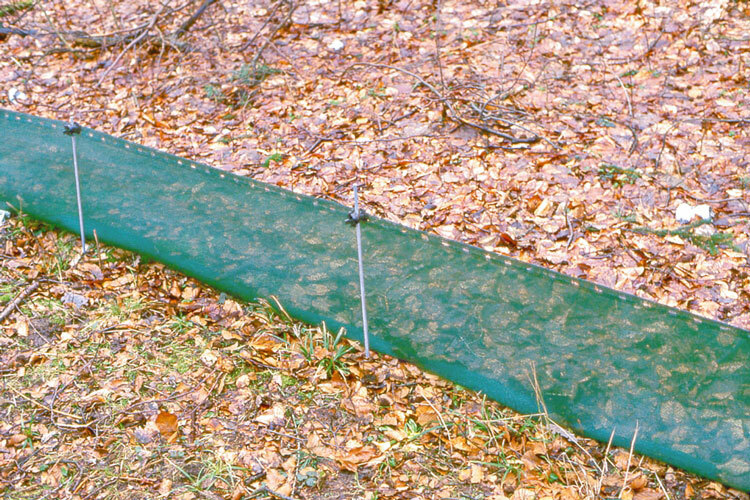 The button tape of the plastic netting is now buttoned into the height-adjustable net holders and the bottom hem is secured with the pegs, with soil or stones or if necessary is buried. The net connectors can be used to join several 100 m of netting together in a row. Individual rolls of woven fabric (without accessories) for use as spares or for attaching to existing fences adjacent to roads or similar sites. 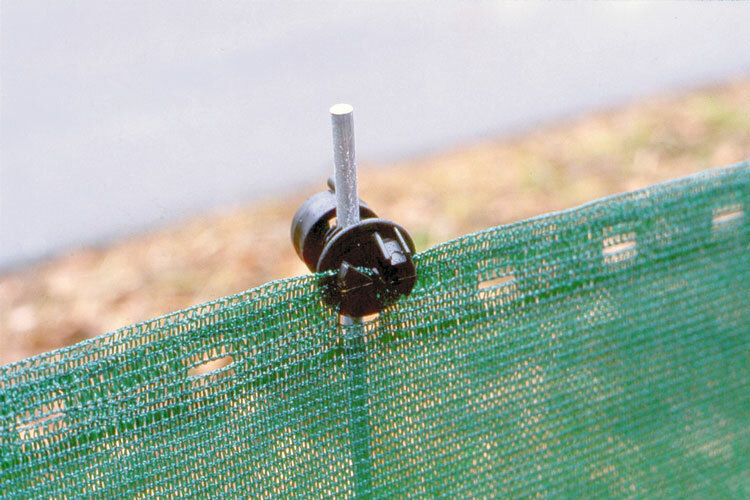 Ideal for attaching by means of cable ties to mesh fencing. 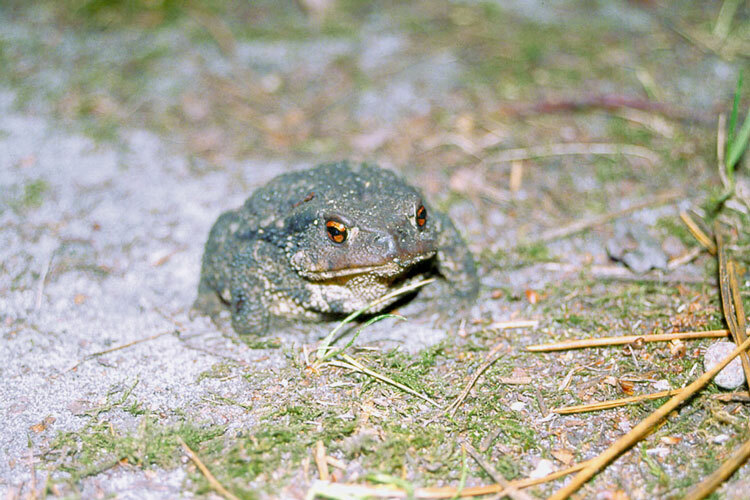 Dimensions: length 100 m, height 50 cm. All parts are also available as a replacement at any time, please order by phone or mail.